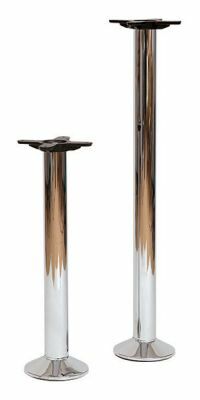 Floor fix table base in Chrome in a choice of two heights and available from stock for a free and fast delivery. Please not that the fixings are not included with this item. Attractive chrome plated floor fix option for upmarket cafe areas. Held in stock for a free and fast delivery accross the United Kingdom.